It’s that time of year where we all start thinking of the holidays. So what better way to lift your Holiday spirit than a great Helmar Holiday Hop filled with Holiday cheer and some amazing projects featuring all the different Helmar Adhesives! Hello everyone and welcome to my stop on the Helmar Holiday Hop! 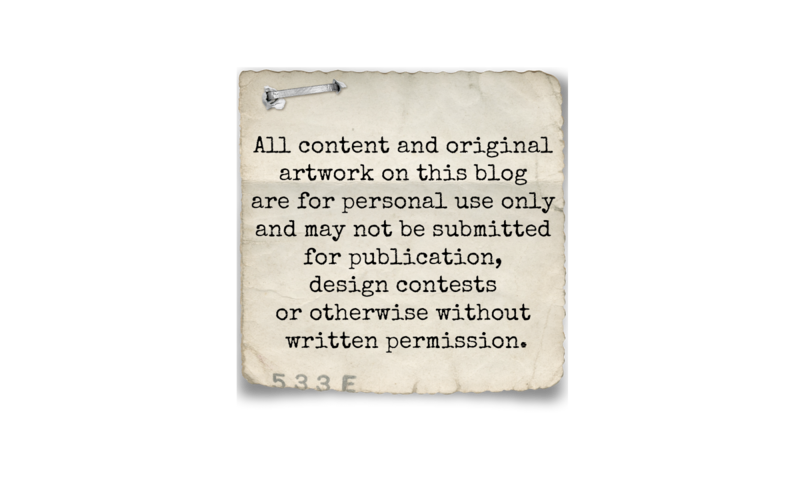 If you have been following along, you should have hopped here from Lydell’s blog. If not, you just have to stop at the Helmar Blog and start from the beginning. There are goodies along the way and we don’t want you to miss a thing. Let me show you my project! 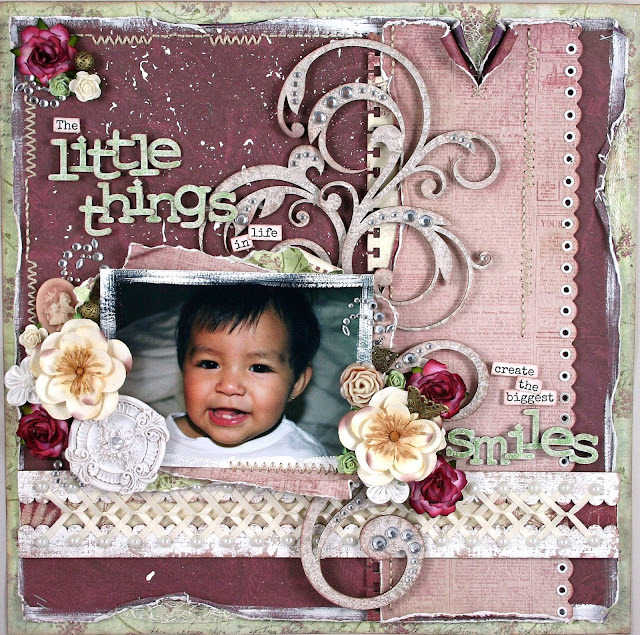 This is a layout of my daughter made with Prima papers, Dusty Attic chipboard and of course, Helmar adhesives! In the photo she was less than a year old. I created the layered title by using Zapdots (cut into thinner strips) and V2 Vellum Adhesive. I tend to use Zapdots on all of my projects because I love to add dimension to my work. This was the first time I have tried the V2 Vellum Adhesive and I have to say... I absolutely love it! It's a repositional adhesive that sprays on and HAS NO ODOR!! YAY!!!!! I use chipboard elements on all of my projects, and this adhesive is perfect to avoid glue seepage from the sides. This is the other half of my title. This chipboard element made by The Dusty Attic was named after me!! It's called 'Lacing Tash'. I altered it with paint, ink and embossing powder to add texture. Then I laced ribbon through the holes and added pearls to further decorate the piece. You can find the tutorial for my lacing technique HERE. This cluster is made up of mulberry and satin flowers, vintage charms and a resin flower. Each element was adhered with either Zapdots or 450 Quick Dry Adhesive for a layered look. The large resin embellishment was adhered with Zapdots as well. This gorgeous scroll (Scroll #6 DA0578) was painted, inked and embellished with rhinestones. I cut the chipboard scroll into several pieces and positioned it around my photo. I hope you enjoyed my layout. Make sure you leave a comment at every stop because the elves of Helmar will be giving away prizes to some lucky Helmar fans. Now hop on over to Martha’s blog to see another amazing Helmar Holiday project. The Holiday Hop will be open for comments until 11:59 P.S.T December 4th, so take a look and enjoy a little holiday spirit from all of us on the Helmar Team. Thanks again for stopping by today and Happy Holidays! This is such a beautiful layout!! LOVE it!! Swoon! Such a stunning layout! I am just in awe of all the wonderful layering and dimension in this layout. oh this is adorable.. and all your wonderful details make this a beautiful layout!! Wow Natasha your page is quite stunning! And your lace lattice work is genius! How cute, and what an adorable baby too! What a stunning layout Natasha! oh this is so bautiful! Gorgeous layout, love the floral clusters! Your LO is magnificent!! Love how you did the ribbon and pearls!! Amazing!! LOve all the intricate details! Amazing!!! I still want to come play with you-I need to learn how to layer so well. Beautiful layout. love all your embellishing and hand stitching. Stunning! Beautiful Natasha, love all the detail, which i know takes hours and hours!!! OH wow! Your daughter is a cute! Your layout is fabulous! So many wonderful ideas on rolled into one fabulous page. Love the lacing at the bottom. All the accents are beautiful! Love that latticed lacing! Fabulous page. TFS! oops...think I left my comment on wrong post...This is GORGEOUS!! Love all the detail, layers, stitching and the way you used that ribbon. How did you do that? Natasha, You are truly amazing. The braided ribbon on this layout is beyond gorgeous. Your attention to detail is TOP NOTCH and you move me to create. Oh, Natasha, this is SO lovely! So many beautiful elements and layers. LOTS of love went into this project! Thanks so much for sharing it with us! And happy holidays to you and yours! adorable LO so much to look at~just lovely!!! This is wonderful! <3 it! WOW - that is a beautiful LO - there is just so much to look at, yet it doesn't feel over-cluttered! Great job, thank you! Gorgeous layout and beautiful baby! Beautiful LO. I love the look of the stacked letters. Beautiful project, thanks for the inspiration. Amazingly beautiful and detailed. Just gorgeous. Incredible layers and details. I love this layout. 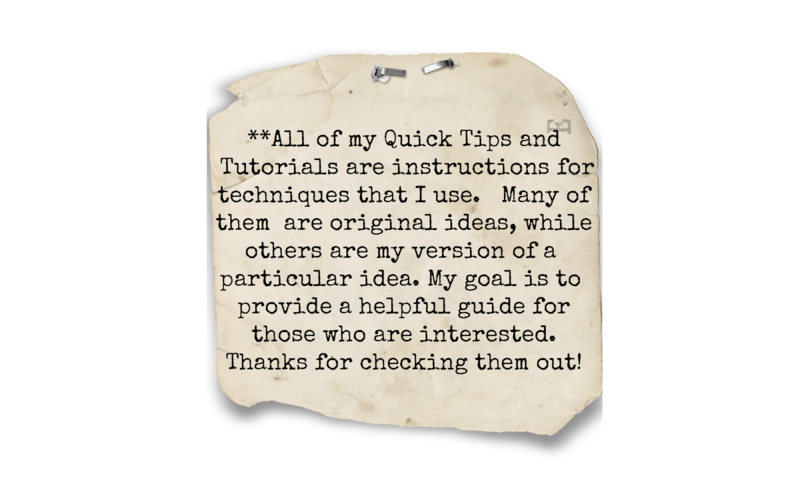 It is obvious that you give a great deal of time and attention to your layouts. There is so much to see and enjoy. Your daughter is so beautiful and quite deserving of this layout! Gorgeous layout! Love all the layers! What a beautiful layout! I particularly love all the detail and the intricate ribbon lacing that you did. Just gorgeous! Your layouts are ALWAYS lovely and these are no exception. Love the ribbon braiding. Absolutely love your work and this is no exception. thanks for sharing, again. What a gorgeous page. Thank you for the detailed how to as well. I really like all the texture and depth that you have created with different materials and adhesives. This is such a sweet layout!! I LOVE how you did the chipboard letters, and the tearing. So much added texture...love it!!! your daughter is a cutie and your layout is to die for! Thanks for sharing! omgosh, this is incredible. your scrapbook layouts leave me breathless! there are so many beautiful details and i just get lost in them. thank you so much for sharing your beautiful talent!